Hi Loves! Today's fashion post is all about this furry vest and these OTK boots. I wore this look about a month ago on a very windy day out for lunch. I totally forgot to share this look with you. I figured I better get it out because Spring is in full effect! Yikes. Here's what I want you to take away from this post, it's spring and next up is summer, right after that it is faux fur and boots season. I suggest you shop for these type of items now, when they are all on sale. It's a good practice to shop for clothing off season. It is always cheaper and sometimes a wide variety, that is, unless you are into all current season clothing. Babes, to set the tone for the week, a group of bloggers and I have teamed up to bring you another amazing giveaway. 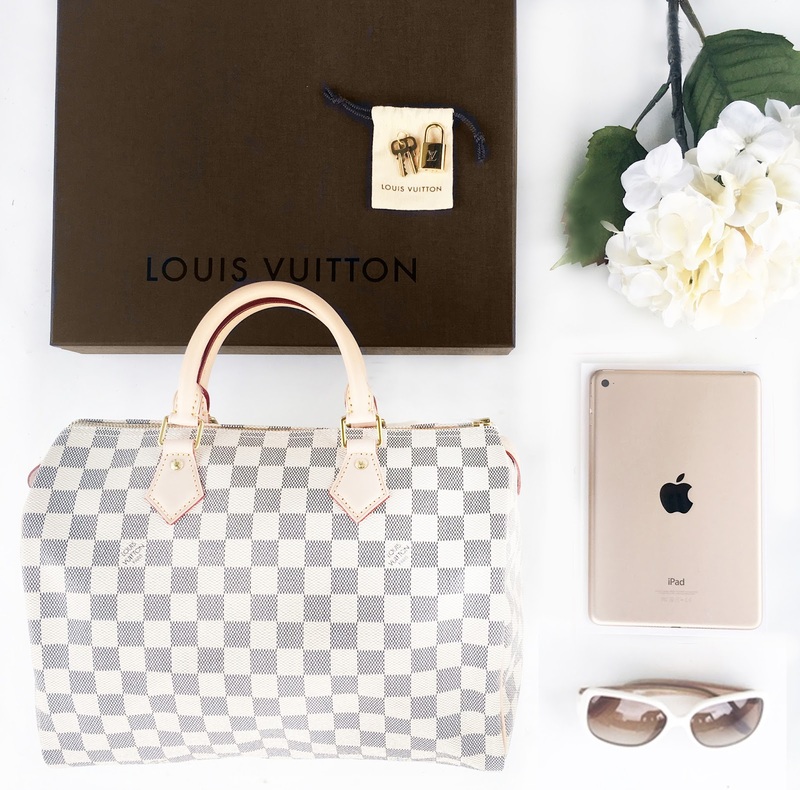 One lucky winner will take home an authentic Louis Vuitton Speedy 30, a pair of designer sunglasses, and a gold iPad mini. Open to international contestants and must be 18+. Please review the full Terms & Conditions prior to entering. The more accounts you follow, the more chances you have of winning! Good luck. I love participating in these giveaways and I/m always hoping one of my readers will win. Take the chance and center, I urge you.